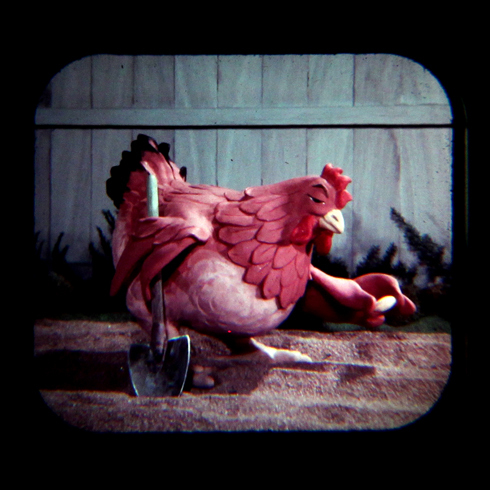 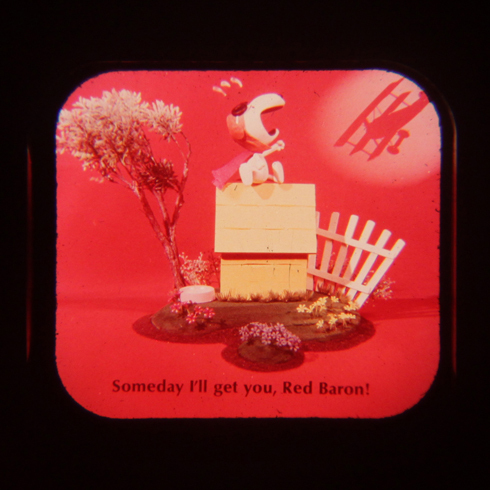 Given the popularity of the post I did on my mom's View-Master from the 1950s, it was only a matter of time before I went digging for the View-Masters I remembered playing with. 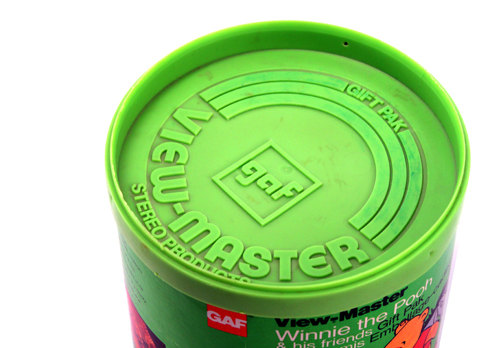 In a green cardboard canister (once again in my parent's basement) I found the two vintage GAF View-Masters and a collection of reels from my childhood. 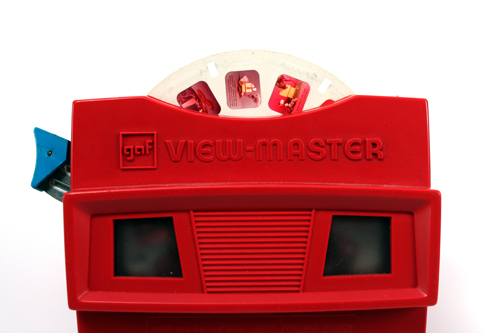 These View-Masters were made sometime in the 1970s up until about 1981, and seeing as I wasn't born until 1984, they were probably my brother's or my folks maybe bought them later at a garage sale or thrift shop. 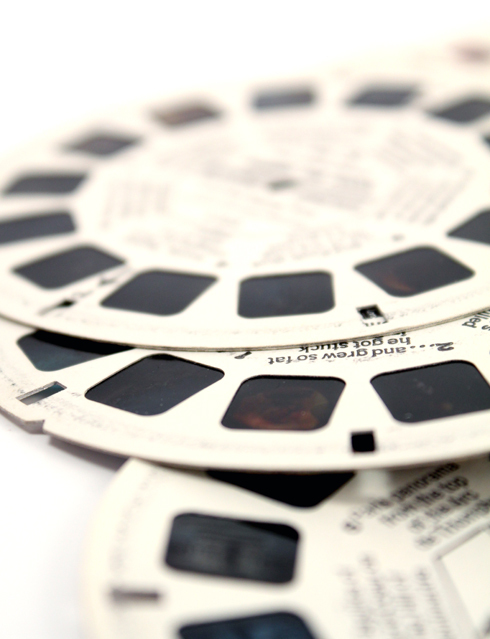 The toys are both in pretty good shape, and I still get a kick out of all of the reels. 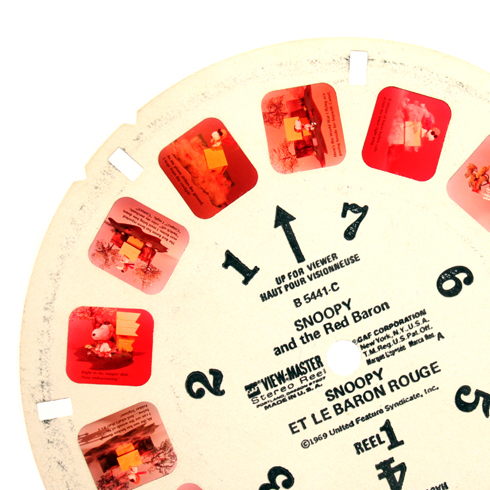 There were a lot of Disney, Snoopy, and a few famous city travel reels at the bottom of the canister. 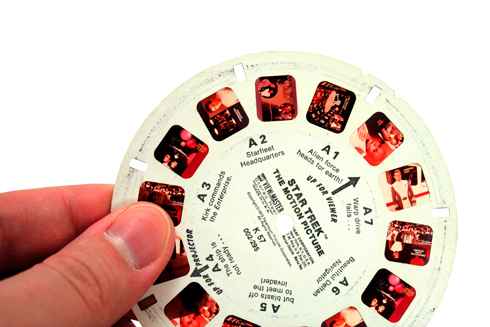 We never really kept them organized, which is also why a lot of random reels ended up in the box with my mom's View-Master too. 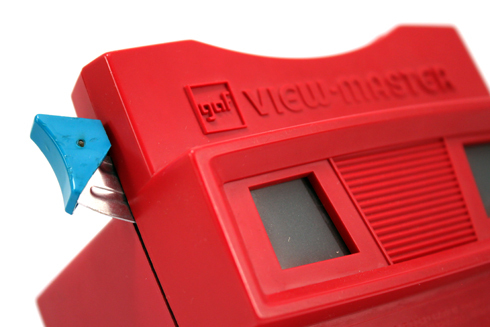 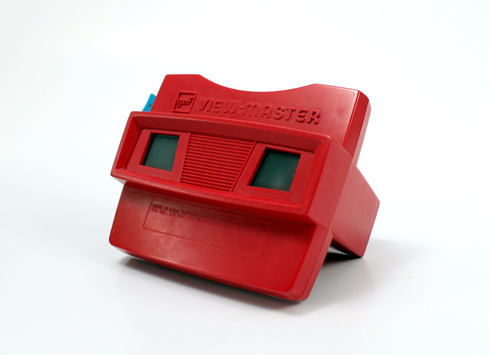 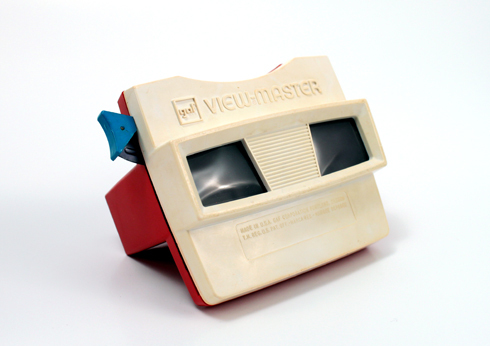 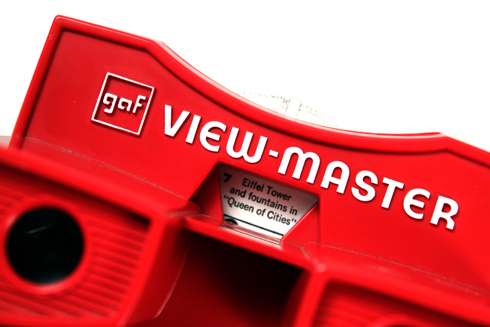 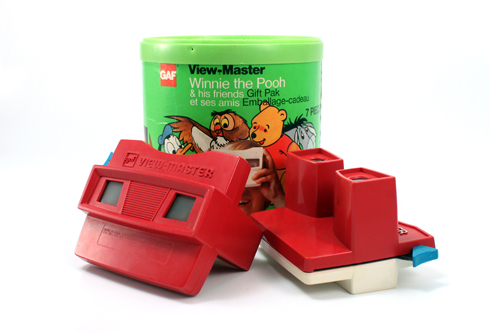 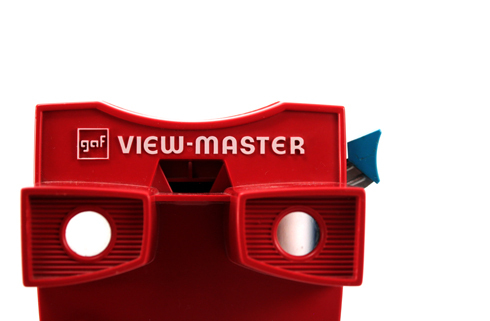 View-Masters were always kind of a passing novelty to me as a kid. 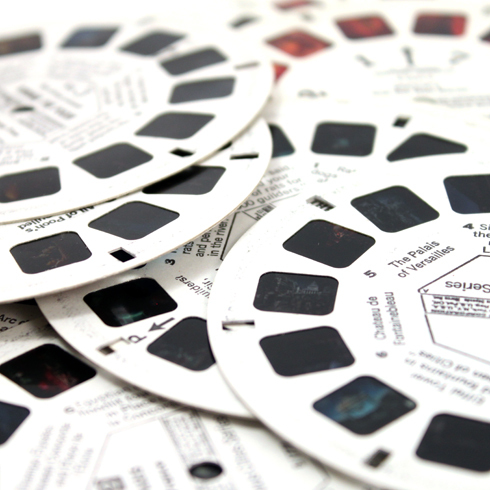 I can't ever remember purposefully sitting down to play with them, but instead I would stumble onto them when looking for another toy and couldn't help but check out a few reels. 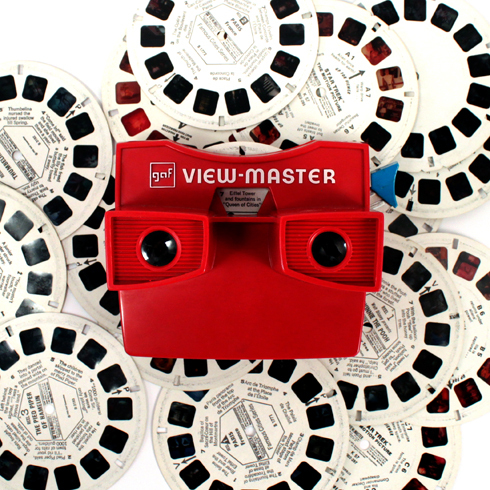 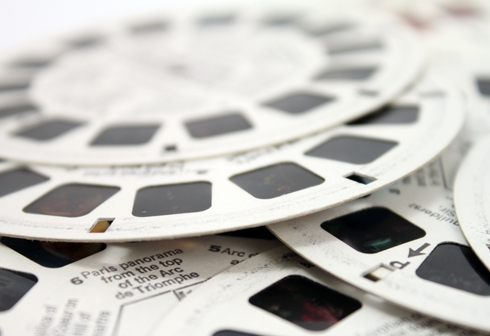 No question, even a few decades later the allure of 3D hasn't faded, and these View-Masters are still pretty awesome.